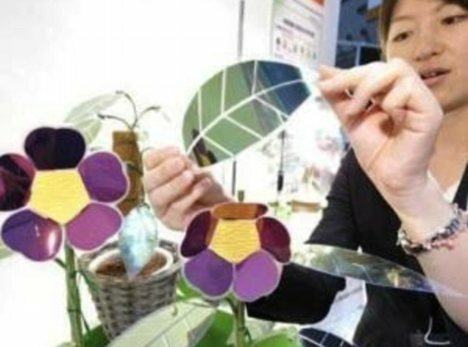 Scientists have created the world's first practical artificial leaf that can turn sunlight and water into energy, which they claim could pave the way for a cheaper source of power in developing countries like India. Scientists claim to have found the 'Holy Grail' of science in an artificial leaf that could turn ever British home into its own power station. The leaf, which is the same size as a playing card, mimics the process of photosynthesis that plants use to convert sunlight and water into energy. Scientists behind the invention say it could provide an affordable solution to the third world's growing energy crisis. Dr Daniel Nocera, who led the research team, said: 'A practical artificial leaf has been one of the Holy Grails of science for decades. 'We believe we have done it. The device bears no resemblance to Mother Nature's counterparts on oaks, maples and other green plants, which scientists have used as the model for their efforts to develop this new genre of solar cells. Nocera, who is with the Massachusetts Institute of Technology, points out that the 'artificial leaf' is not a new concept. Although highly efficient at carrying out photosynthesis, Turner's device was impractical for wider use, as it was composed of rare, expensive metals and was highly unstable — with a lifespan of barely one day. Nocera's new leaf overcomes these problems. It is made of inexpensive materials that are widely available, works under simple conditions and is highly stable. In laboratory studies, he showed that an artificial leaf prototype could operate continuously for at least 45 hours without a drop in activity. The key to this breakthrough is Nocera's recent discovery of several powerful new, inexpensive catalysts, made of nickel and cobalt, that are capable of efficiently splitting water into its two components, hydrogen and oxygen, under simple conditions. Right now, Nocera's leaf is about 10 times more efficient at carrying out photosynthesis than a natural leaf. However, he is optimistic that he can boost the efficiency of the artificial leaf much higher in the future. 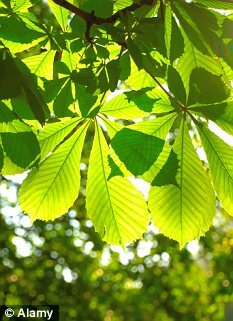 'Nature is powered by photosynthesis, and I think that the future world will be powered by photosynthesis as well in the form of this artificial leaf,' said Nocera, a chemist at Massachusetts Institute of Technology in Cambridge, Mass.